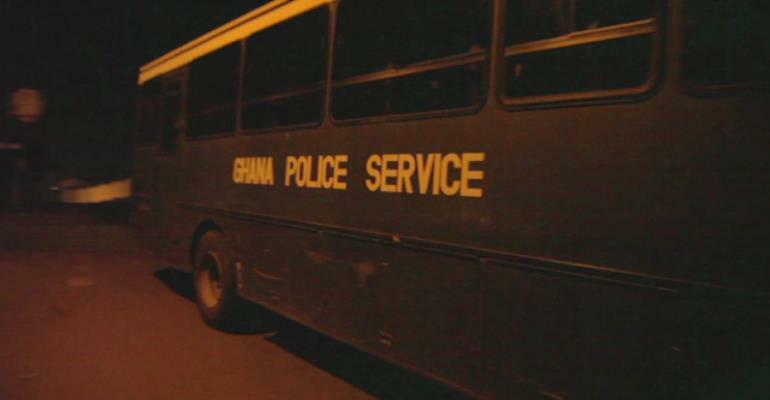 Appearing before the Short Commission, charged with investigating hostilities that allegedly flared up between members and supporters of the country’s two major political parties, namely, the ruling New Patriotic Party (NPP) and the National Democratic Congress (NDC), the Greater-Accra Police Commander of the Ghana Police Service (GPS), Mr. Patrick Asiedu-Sarpong, a Deputy Commissioner of Police (DCOP), was reported to have told the members of the Commission that so unhealthily politicized and a docile tool of the ruling party of the day had the institution of the Ghana Police Service become that politicians in opposition preferred to hire their own private security detail than apply for the services of personnel of the GPS (See “Politicians Don’t Trust Police – Police Commander” Modernghana.com 2/20/19). This comes as absolutely no news to those of us who have been studiously observing the trend and culture of Ghanaian politics since at least 1979, when the Chairman Jerry John Rawlings-led junta of the Armed Forces Revolutionary Council (AFRC) bloodily shot its way into the seat of governance, from June to September of that year; and, again, the anti-democratic intervention of the Rawlings-led junta of the Provisional National Defense Council (PNDC). It was the PNDC, with its Cuba- and Libya-oriented one-party faux-socialist agenda, that effectively ensured that the institution of the Ghana Police Service would become the at once docile and servile ideological and political tool of the ruling regime. For Ghana, this morbid and pathological political culture spanned the 19-year period from December 31, 1981 to January 7, 2001. During this veritable reign-of-terror era of Ghana’s political history, the official leadership mantra was: “You are with/for the Revolution or you are a veritable Enemy of the State.” Under this mantra, hundreds of thousands of Ghanaian citizens deemed to be “capitalist”-oriented, which virtually meant any citizen who was against the faux-socialist ideology of the one-party state, was summarily deemed to be either a socioeconomic parasite or an indisputable enemy of the Rawlings junta. Some of the people so labeled were eventually executed by firing squad or systematically liquidated through other forms of punishment, including torture and, some critics and scholars have maintained, the inhumane application of medical poisoning. But, of course, it was the crass abduction and Mafia-style barbaric execution of the Three Accra High Court Judges, namely, Justices Cecilia Koranteng-Addow, Frederick Poku-Sarkodie and Kwadwo Agyei Agyepong that effectively destroyed the institutional confidence and integrity of Ghana’s judicial system. And, of course, with the collapse of the judicial system, the central arm of the country’s legal system, logically meant the total emasculation of the Ghana Police Service. The preceding, of course, only tells the narrative or story of the immediate cause/causes of the virtual evisceration of the protective civil institutions of Ghanaian society. The problem actually began with the rise of the future Prime Minister Kwame Nkrumah, at least during the country’s Transitional Period between British colonial rule and the establishment of the former Gold Coast as a modern Sovereign State from 1951 to 1957. And so, really, there can absolutely be no gainsaying that to varying degrees, nearly every postcolonial Ghanaian leader and his government cannot be totally exempted from the tragic legacy that is the thoroughgoing corrupt political culture of Ghana. Now, the solution to this carcinogenic state of affairs entailing judicial lethargy and an abject lack of will, both morally and practically, to let justice work and prevail evenhandedly, may very well depend on the watershed findings and recommendations submitted by Justice Emile Short and the members of his eponymous Commission to President Addo Dankwa Akufo-Addo. At least from the inimitable example of his successful and definitive implementation of the so-called Roadmap for the implementation of the Wuaku Commission’s finding and recommendations for the resolution of the Dagbon/Yendi Chieftaincy Crisis, President Akufo-Addo is seismically poised to taking Ghana to the next epochal and Paradigmatic Shift in the way that governance ought to be healthily and satisfactorily pursued in any civilized society and culture. This author has authored 4478 publications on Modern Ghana.